Boyfriend is not sure about the amount of plants we should have in the new place. I told him I thought we needed a lot. Definitely more than I have in my current apartment. 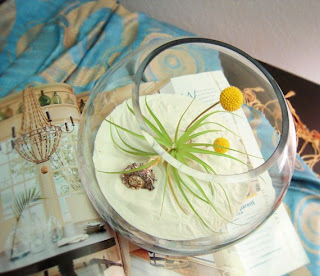 I am pretty sure he would find it nearly impossible to kill this cute air plant. i've been thinking about terrariums lately. not sure how they popped into my head, but i'm pretty sure when i move, i'd like to have one.